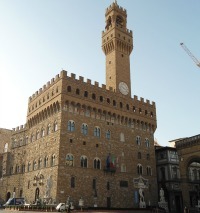 A Florence youth hostel is one way to lodge in the city without spending much. Would you believe it if I told you you can have a centrally located bed for a mere €25 per night? Well, it's true! Of course, I'm talking the bare basics here....a bed and comunale bathroom, but still - that's cheap! Price wise, hostels generally range between €25 (just a bed) and €60 (a single room). More good news: years ago hostels in Florence were few and far between, and were all located on the periphery of town. 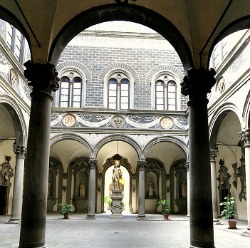 Some of the nicest hostels in Firenze are smack dab in the center! Don't feel like reading about all the details? 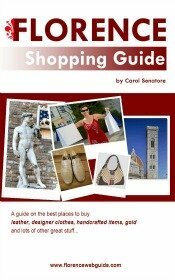 No problem....just check out this list of hostels in Florence with prices and ratings. This Florence youth hostel is perfect for even 'mature' travelers. Why? Simple: you don't have to share a bathroom with anybody, something that gets to be important once you're out of the backpacking years! Each room has its own bath (either in the room or just outside the door, but in any case just yours) which makes this ostello more like a very simple hotel. Staff are very friendly and will assist you in 'learning the ropes' to maneuver downtown. 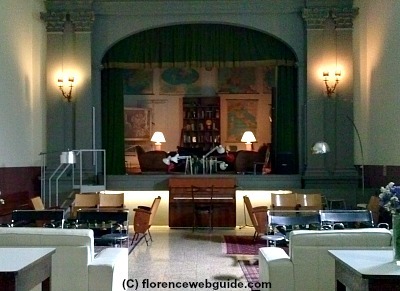 I love this Florence youth hostel! It's just sooooo cool! Get this - it's located in a huge villa that used to be a grade school, the classrooms have become bedrooms, the play ground is now a wicker-furnitured garden, the kitchen for making school lunches is, well, still a kitchen for the guests to use! The hostel decor and atmosphere is vintage style, this place has loads of character with its furniture from the 50's and art deco pieces. There's a soda fountain type counter open all day serving drinks and coffee and the reception is 24/7. Breakfast included with proper Italian espresso made fresh. 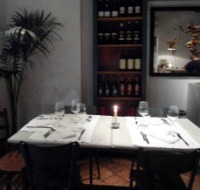 Just off piazza Tasso, there are two super popular restaurants nearby (loved by locals!). 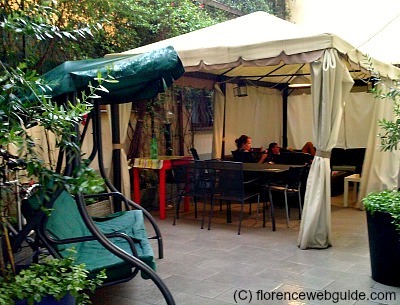 This is the Florence youth Hostel where you can sleep for only €25 a night! If your main priority is saving money yet staying central, this is it. That price is for a 'posto letto' (just a bed) in a room with others and a shared bathroom, the most basic hostel accommodations (unisex dormitories available upon request). 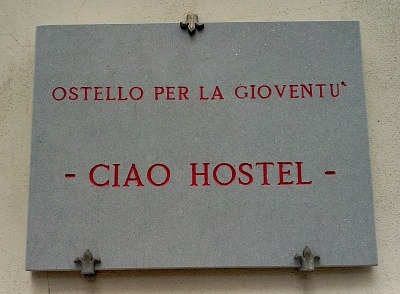 And the New Hostel is quite central too, just a couple of blocks from the station and 15 minutes walking to the Duomo. There are 3 comunale areas for hanging out and making friends (including an outdoor patio and large terrace) and a make-shift kitchenette, 24/7 reception and luggage storage. 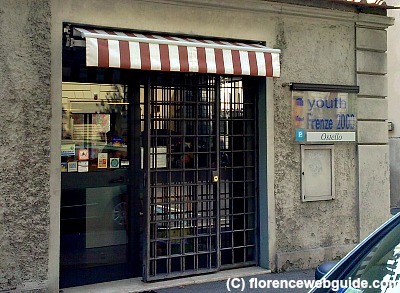 Here's another Florence youth hostel that is quite close to the main station, 4 blocks. Don't let the grim entrance deter you, this newly refurbished ostello has a hotel feel to it and is very clean and polished inside. The staff have high standards of maintenance and facilities are upkept regularly. About the environment, Ciao Hostel is more of a down-to-business type hostel, not the type of place where there are a lot of people hanging around making friends. More good news, similarly to New Hostel (above), prices here for a posto letto are very low. Services include two full bathrooms per floor, full kitchen for cooking on each floor, 24/7 reception, disabled access.